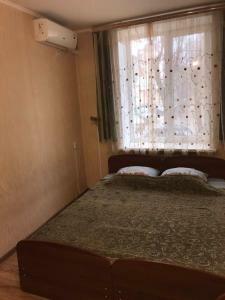 A-HOTEL.com - Luxury and cheap accommodation in Staraya Otrada, Russia. Prices and hotel, apartment booking in Staraya Otrada and surrounding. Set in Volgograd, 30 km from River Port, 34 km from Volgograd Arena and 35 km from Motherland Monument, Apartment on Bulvar Engelsa features accommodation with a balcony and free WiFi. It is located in a building dating from 2005, 30 km from Alley of Heroes. Located just a 5-minute walk from the River Volga, Volgo-Don Hotel has a 24-hour front desk and free Wi-Fi. There is a billiard table and guests can relax in the hotel’s sauna. Apartment "Dream Catcher" is set in Volgograd, 31 km from River Port, 35 km from Volgograd Arena, as well as 36 km from Motherland Monument. This apartment is 31 km from Alley of Heroes. Hotel Seven Kings is located in Imeni Kirova. Free WiFi access is available. Featuring a restaurant and a bar, Royal Castle Hotel offers rooms in Volgograd. A sauna and BBQ facilities are available on site. Set 34 km from River Port, 37 km from Volgograd Arena and 39 km from Motherland Monument, дом features accommodation situated in Volgograd. It is located 34 km from Alley of Heroes and offers free shuttle service. Located in the quiet Tatyanka 3 district of Volgograd, this hotel offers panoramic views of the Volga River. The cottages of Zeleniy Mys Hotel feature a flat-screen TV and a private terrace.